Jeff Daniels is an applied geophysicist, with a broad base of experience in surface and borehole geophysical methods applied to subsurface science. His research focuses on developing geophysical techniques to image objects, and monitor gas and fluids in the subsurface. His personal research funding has been continuous since he came to OSU in 1985, with funding sources ranging from DOD, NSF, and the EPA. He is the author of over a hundred publications in journals and proceedings, a book, and several book chapters. 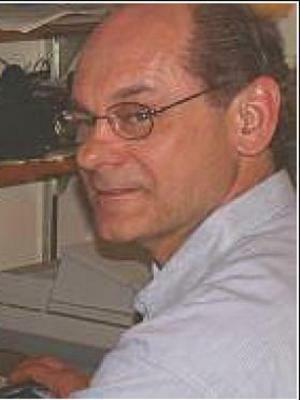 He regularly serves on professional panels (e.g., CIC Leadership Forum, NRC Committee on Subsurface Characterization), is currently is a member of the Science Advisory Board for SERDP (DOD’s environmental research program), and a member of the College of Reviewers for the Canada Research Chairs Program. He is the former co-chair of the Energy Working Group for the university (2006), a founding member and organizer of the University Clean Energy Alliance of Ohio (a consortium of Ohio’s 15 research universities organized in 2007), and a prime mover in organizing the University Consortium for Futuregen (a consortium of 8 major universities in Ohio and the Midwest). He was also the prime mover, and technical PI, of a successful proposal to the Third Frontier Program (Ohio Department of Development) for an Endowed Chair in Geologic Carbon Sequestration.